Ever seen one of those giant mosquito hawks flying around? They look pretty dangerous, don’t they? A mosquito hawk (they are also known as ‘mosquito eater’ or ‘crane fly’) could and would probably eat smaller mosquitoes in a heartbeat! I was really curious if this rumor was actually true: Do mosquito hawks really eat blood-sucking mosquitoes or not? So I set out to find the truth behind it all. This is what I learned. There’s a reason why some people refer to these huge bugs as ‘mosquito eaters’, since they are indeed looking like ferocious predatory creatures. They are not. And they’re not cannibals either, because the mosquito hawk officially belongs to the insect family called Tipulidae, which are essentially different types of crane flies (which are a completely different group of species). But the question remains: Will they prey on the ‘skeeters’ we all know so well from those itchy bumps on our skin? Do Large Mosquito Hawks Eat Small Mosquitoes? The rumor that mosquito hawks will kill and eat smaller mosquitoes is false. However, these so-called ‘mosquito eaters’ can eat mosquito larvae when they are themselves in a larval stage. This does not make them cannibals, since mosquito hawks (i.e. crane flies) belong to a different insect species. Just to be absolutely sure of this answer: Crane flies (the real name for those big dangerous looking insects) aren’t even biologically capable of biting or eating mosquitoes as adults. And they don’t bite either, they are completely harmless in every way imaginable. Except perhaps if they fly into your eye or mouth, that’s just outright disgusting. But it won’t harm you, that’s for sure. 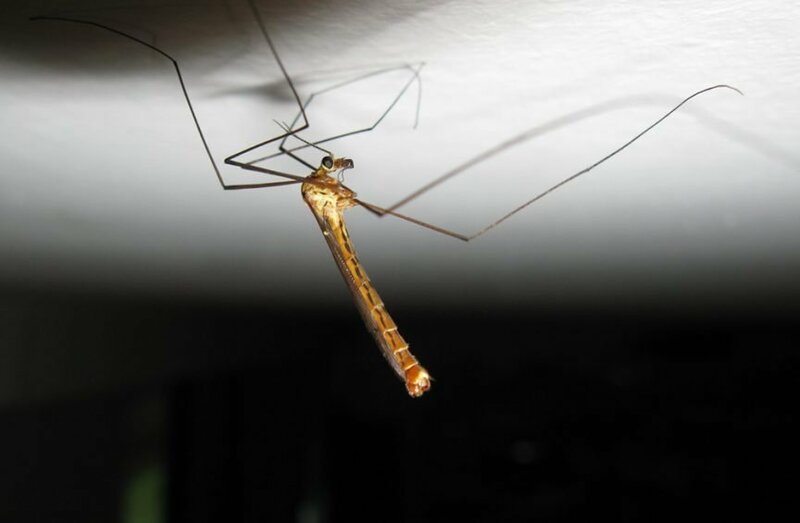 While regular mosquitoes have blood-sucking mouthparts (called a proboscis), crane flies lack this part, as they do not need it to produce their offspring. Actually, most of their build is pretty interesting. Here’s an article I wrote about why they have such long legs, which is another commonly found question when it comes to these harmless critters. 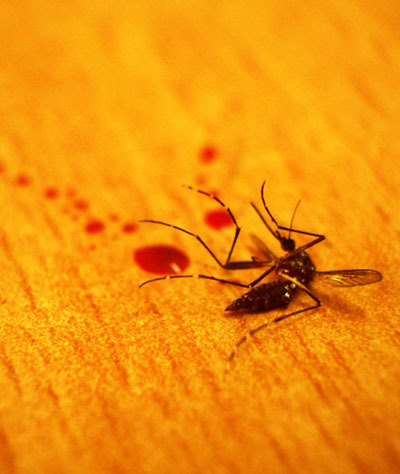 Do Mosquito Hawks Really Kill Mosquitoes? Some mosquito hawk larvae will kill mosquito larvae when they are in this stage of their own. So they won’t attack and kill adult mosquitoes, but they might eat them in a larval stage of their lives, if the opportunity arises. Mosquito hawks will, however, focus primarily on a plant-based diet. Apart from their nutritional needs, mosquito hawks are also never in a territorial conflict with ‘regular’ mosquitoes. Neither will they bite or sting each other, that’s absolutely out of the question ánd biologically impossible. Mosquitoes sting other species based on certain substances found in blood, so why would they even consider attacking a skeeter hawk? Those critters barely have any blood, or at least way too little for the needs of mosquitoes. Also, their biological makeup is much different from e.g. humans. The myth that crane flies (the real name of this big-legged insect species) will attack and kill mosquitoes does not seem to hold up in practice. So if they don’t eat mosquitoes, what is it that they do eat? Don’t they need to feed on something commonly found in nature to survive? Let’s find out what their main diet is actually composed of. Gluten-free, veggie, organic and without chemicals, I suppose. Crane Fly Diet: What Do ‘Skeeter Hawks’ Eat? We now know that crane flies (also called ‘mosquito hawks’ or ‘skeeter hawks’) don’t actually eat mosquitoes. Instead, their main diet is vegetarian. In the larval stage, they’ll eat roots of forage crops, turf grasses and seedling field crops. Adult crane flies mainly eat nectar or other sugary liquids. The reason their diets will change depending on their stage of life, mainly comes down to the fact that larvae will eat whatever is available to them. That’s why they will occasionally also eat mosquito larvae, when given the opportunity. However, their primarily vegetarian diet is chosen based on the fact that that’s usually the most nutritious food around. Do Mosquito Hawks Eat Mosquito Larvae? Yes, some sub-species of crane flies (the official name for a mosquito hawk) will eat mosquito larvae. But they will only do this when they are in the larval stage themselves. Mosquito hawks will however primarily have a vegetarian diet, such as crops and grasses. This can be harmful to farm crops. Their dietary choice makes it so important to eradicate them in rural areas where farmers are active. There are a lot of reports of crane flies destroying crops, which obviously has a great economic impact. The seasons in which the larvae are actively destroying crops (to grow up) changes rapidly due to climate change. Where farmers attempt to fight the eggs, crane flies adapt and find new locations to lay their eggs. This is where they can also come into close contact with mosquito babies. Because the natural habitat of mosquito larvae is so widespread, they might use the eggs or larvae as an alternative food. However, it’s much more common for them to focus on a vegetarian diet. It doesn’t really come as a surprise that there are so many types of species adapted to feeding on these type of common insects. Being widespread across the globe, tiny, and protein-rich really does help with being a yummy snack for a wide range of animals. However, do be aware that the type of animals that will kill mosquitoes is much, much greater. This is because of the fact that those little blood-suckers will come after every single warm-blooded animal out there: If you would be a giraffe or a hippo or even a horse, wouldn’t you want to try to kill those pesky skeeters as well? Some animals will therefore not eat them for their protein, but simply to protect their own skin and blood from those annoying bites (and the occasional virus). Use a swatter: The good old method ‘slap them with a newspaper’ will always work for individual nuisances. However, this only works for small quantities of mosquito hawks. Install an insect trap: Do large quantities of insects occupy your backyard? Insect traps such as these will quickly get rid of the problem for you. These devices are designed for outdoor use, but you also have indoor traps like this Katchy device. Get an insect fogger: Another good alternative is to get yourself an insect fogger that is suitable for the consumer market. There are several good ones available, I tested and reviewed them in this article. Insect proof your home: Get yourself some magnetic window screens, but also get an insect screen for the backyard door while you’re at it. Make sure bugs can’t enter your home in any way. Place a dish of soapy water: Don’t want to spend money and go the DIY route? Most insects are attracted to soapy water. Crane flies included. Just put in on the patio and wait for the magic to happen. While there are many more ways to get rid of insects in your yard or on your patio, one of these is likely to help you out. I do recommend you to look around this blog a bit more, because almost every article I write revolves around new innovative ways to get rid of mosquitoes or other types of bugs. So, there you have it. The myth about the mosquito eaters, that didn’t actually turn out to eat them. Or at least, not outside of the playground (i.e. their larval stages). I’m not entirely sure where this rumor originated, but it’s sure as heck is one of the more persistent ones. Honestly, it all starts with knowing the difference between species. Mosquito hawks are crane flies, not mosquitoes. They are two separate creatures that will generally leave each other alone. Just remember this. The small ones bite, the big ones are just dumb and annoying. Both can be taken out in one swoop, while you’re at it. All you need to succeed is some effective anti-insect tools such as these. Other than that, you’ll require a bit of the three P’s: Planning, patience and persistence. Once you start thinking like the insect, killing one becomes a piece of cake. Happy hunting!